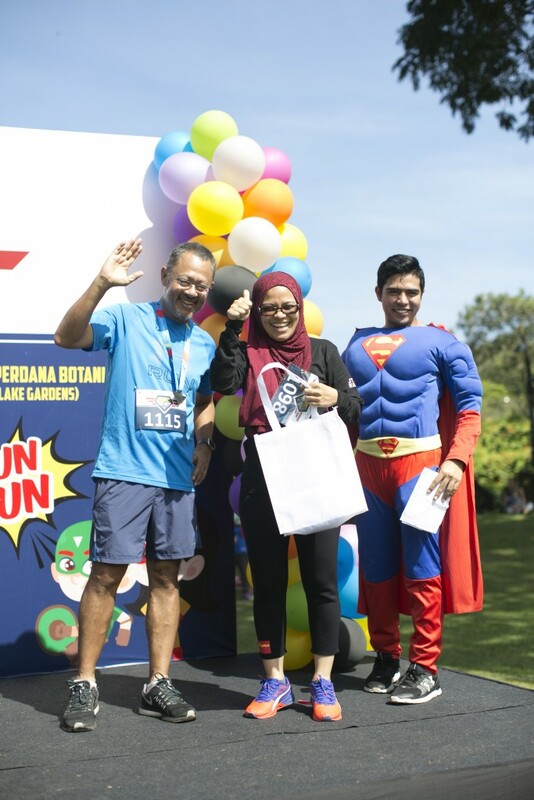 UNIVERSITY Malaya Specialist Centre (UMSC) recently held its first Fun Run for employees and their families. The event themed “Heroes Day Out” saw about 500 participants showing their support. It was held at Perdana Botanical Garden, Kuala Lumpur. The event gave employees a chance to bond with their families and discover shared interests with their colleagues. “For the first time in 18 years since UMSC’s inception, we are delighted to organise the Heroes Day Out. “Our doctors and other staff may not be able to fly or run faster than a speeding bullet, but they are real-life superheroes committed to providing the utmost in care with compassion to improve the health of our patients and the community. “At UMSC, it is our calling to make our mark in society and become the healthcare providers of today, dedicated to healing mankind,” UMSC chief executive officer Azhar Harun said. Among the activities organised were a 3km track walk, a Zumba dance performed by UMSC’s very own team, telematches, clown performances, sand art for children, games and face painting.